Ever have a day when nothing particularly spectacular happens, but several very small things do happen, making it just the best day ever? Welcome to my day today. It’s Friday, which already gives it a boost up on the other days. It started off similarly to all the others: struggle to tear myself out of bed, rush around like a madwoman to get everyone fed and ready for school, then finally breath a sigh of relief after the last kid is dropped off for the morning. Usually, I take care of whatever errands are on my list, so I can do them by myself and not have to drag a kid or two along with me. Today was no different, in terms of the errands. I started off by marching into our vet’s office; I was frustrated because I thought the pup we just adopted was being over-vaccinated as a result of them misreading her medical records. I was irritated by the thought of paying close to $200 for something I thought had been taken care of already by the rescue organization. I was ready to (nicely) battle with them to correct the issue; but, to my pleasant surprise, they cheerfully offered to remedy the situation without me having to even raise an eyebrow. Hooray! I then moved on to grocery shopping. Let’s face it, it’s a boring task, right? It can also be stressful, wondering if you’re getting the best deal, worrying that you’re not buying the “best” products (in terms of nutrition). I had barely walked into the store before I came across honeycrisp apples, one of the hub’s favorites. As I stood there, selecting my apples, a manager came over to me and greeted me with a cheerful “Good morning! You like honeycrisp apples? Let me get you a Sweet Tango to try! They are amazing!” I was stunned, because beyond a “hello”, I rarely come across a talkative employee at our local grocery store. The manager went on to bring out “fresher apples” (he wasn’t satisfied with what was left on the display), and then cut one up for me right then and there. Shopping while munching on sweet, yummy apple slices? Yes, please. I’m not sure what got in to them over there at that store, but I definitely appreciate the elevated level of customer service! At this point, I was already aware that I was having an extra good morning. I decided to stop for a cup of coffee on my way to pick up the littlest kiddo from school. Now, I’ve never come across a cranky barista at Starbucks, but today they were just super chipper! AND…I was offered a sample of my favorite berry coffee cake. Score! It was just the perfect size to enjoy without feeling guilty because I have absolutely no business eating extra treats right now. Driving to my son’s school, the cynic in me started to ponder all of these good things that happened to that point, and wondered when the other shoe would drop. But, a string of awesome songs on the radio quickly squashed any pessimism that threatened to take away my happy morning. Don’t you just love it when your radio station just synchs up with your mood? Ah, music. So, that was it. The rest of the day, so far, has been uneventful, but no complaints. Not sure why I was blessed with such a lovely morning, and day for that matter, but hey…I’ll gladly take it. It’s October already? How did that happen? As long as the days (weeks…months?) may feel at times, this year really is flying by. October is a notable month for my family, as it is Down Syndrome Awareness Month. For those who know my family, you are very aware of Down syndrome, and our mission to give Alex every opportunity that my other two children will have. A lot of people, though, don’t have much information about Down syndrome; we certainly didn’t before Al was born! DO be a supportive family member or friend. Be a good listener while not feeling like you need to go out of your way to offer advice. There is so much going on behind the scenes that I may or may not share with you: challenges (hello, potty training?!? ), accomplishments, worries. Just knowing that we have a terrific support system is so very helpful. DO treat Alex as you would any other nine year old boy. He is more like a typically developing nine year old than he is different, and he wants to be treated as such (ie, DON’T talk to him like he’s a baby. This happened just the other day; a very sweet lady started a conversation with him, but he looked at her like she had two heads). DO know the proper terminology. My son does not have “Down’s”. He is not “downsy” (thank you, Hollywood, for bringing us that awful term). He has Down syndrome. There is no abbreviating it, sorry. DON’T use the r-word. EVER. Just don’t do it. (Visit www.r-word.org for info on the Spread the Word to End the Word campaign.) I don’t want to hear any excuses anymore. I know you probably didn’t mean it; I know that at one time it was an acceptable clinical term. Times are changing, though, so let’s keep up, shall we? DON’T feel sorry for him, or our family. Even after nine years, so often when we meet someone new and tell them about Alex, we get the sympathetic head tilt & nod, which is sometimes accompanied by an “Oh, I’m so sorry”. Really? Why? We’re not sorry about it, so you shouldn’t be, either. Do we face extra challenges? Sure. Do we worry about our child? Of course. But, what family doesn’t deal with these issues? We’ll be fine, but please refer back to the first “DO”. DO accept him as an equal member of our community. He can do everything we can do; he just may need a little more time to get there. 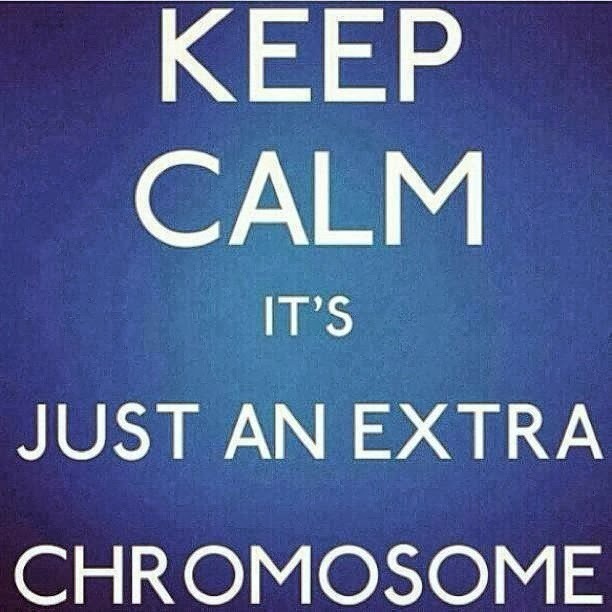 With a little extra compassion and caring, every individual with Down syndrome can accomplish ANYTHING. I hope that you will think through this list; feel free to pass it along. My job as Alex’s advocate will never reach an end, but you can help me in my mission just by sharing these things.